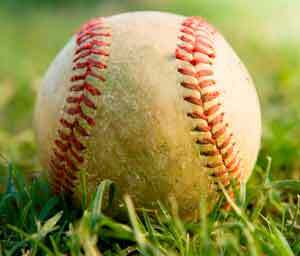 Summer is winding down, and this year’s baseball season is about to reach its annual climax with the 2013 World Series starting next month. 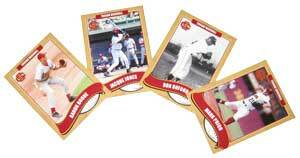 You can’t think about baseball without thinking about baseball trading cards and what they’ve meant to kids (and adults) for generations. The Topps Company is “tops” when it comes to trading cards. For the non-baseball fans, Topps also distributes other types of trading cards—think Pokemon, Garbage Pail Kids and Star Wars Galactic Files. All of them include their hard, dusty pieces of bubblegum, but everyone knew the real prize was when you opened the pack and solved the mystery of which cards had been included. Topps also distributes the equally well known Bazooka bubble gum and refers to their gum and candy business as “Confectionery Business.” Despite its household name and being in business for 60 year, Topps is not a large public company. Its market capitalization is less than a half billion dollars. 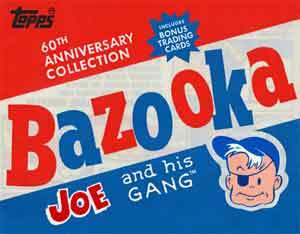 The inspiration for Bazooka Joe, icon of the Bazooka brand, was Arthur Shorin, son of a Topps founder, and Topps’s Chairman and Chief Executive Officer. No serious buyer emerged. Then, former Disney CEO and current private equity investor Michael Eisner called Shorin and offered to be “helpful.” Shorin understood Eisner to be proposing a private transaction. The next year, the insurgent directors reemerged and Shorin’s position on the board was in jeopardy. With the ballots about to be counted, Shorin cut a face-saving deal, which expanded the board to ten and involved his re-election along with the election of his allies of Incumbent Directors and Insurgent nominees. Once the election was complete, an “Ad Hoc Committee” was formed of two insurgent directors and two “Incumbent Directors” to evaluate Topps’s strategic direction. 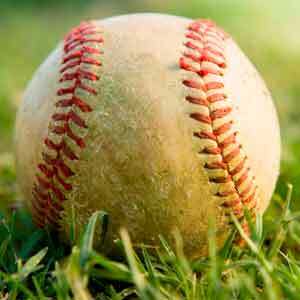 Almost immediately, the directors began to split as to whether, and how, Topps should be sold. All of the directors waivered on the idea of a sale, but some insisted that if there were a sale, it should be a public auction. Other directors disagreed, given the attempted auction the year before. Eisner expressed an interest in making a bid. A key Incumbent Director told Eisner they “might embrace a bid of $10 per share.” Eisner later bid $9.24 in a proposal that envisioned his retention of existing management, including Shorin’s son-in-law. Eisner was not interested in a pre-signing auction. The Ad Hoc Committee split 2–2 over whether to negotiate with Eisner. They reached agreement with Eisner on a merger at $9.75 per share. The “Merger Agreement” gave Topps the chance to shop the bid for 40 days after signing, and the right to accept a “Superior Proposal” after that, subject only to Eisner’s receipt of a termination fee and his match right. Shortly before the Merger Agreement was approved, Topps’s chief competitor in the sports cards business, plaintiff The Upper Deck Company, expressed a willingness to make a bid. But Topps signed the Merger Agreement with Eisner without responding to Upper Deck’s overture. Upper Deck had expressed a willingness to pay $10.75 per share in a friendly merger, subject to its receipt of additional due diligence and other conditions. Although having the option freely to continue negotiations to induce an even more favorable topping bid by finding that Upper Deck’s interest was likely to result in a Superior Proposal, the Topps board, with one Dissident Director dissenting, one abstaining, and one absent, voted not to make such a finding. Upper Deck made a second, unsolicited overture, expressing a willingness to buy Topps for $10.75 without a financing contingency and with a strong “come hell or high water” promise to deal with manageable (indeed, mostly cosmetic) antitrust issues. Topps Board instead went public with a disclosure about Upper Deck’s bid, but in a form that did not accurately represent that expression of interest and disparaged Upper Deck’s seriousness. A group of “Stockholder Plaintiffs” and Upper Deck went to court, contending that the upcoming Merger vote will be tainted by Topps’s failure to disclose material facts about the deal. They also argued Topps was denying its stockholders the chance to decide for themselves whether to forsake the lower-priced Eisner Merger for Upper Deck Merger at a higher price. The judge ruled that Topps Board failed in their fiduciary duties to disclose material facts and misused the merger process. A fiduciary duty is one of the highest standards of care imposed by law based on the relationship between the parties (such as director and company). 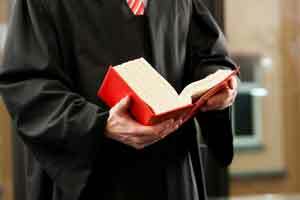 The fiduciary (the director) must show loyalty towards the person or entity to which the duty is owed (the company). It’s similar to a Secret Service Agent guarding the President of the United States. 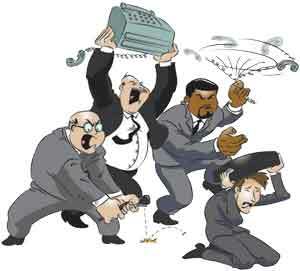 Like a secret service agent, a Director or Officer of a Company must do what is best for Company, even if it means taking a bullet to protect the Company’s interests. What fiduciary duties does a Board of Directors have? A Duty of Care means an obligation to use the amount of care which an ordinarily careful and prudent person would use in similar circumstances. A director also breaches his duty of care if he takes no action in a situation where a careful person would have taken action. Certain situations, such as in the context of a decision to sell the corporation, require a heightened duty of care and Delaware courts use greater scrutiny in determining whether a board carried out its fiduciary duties. The duty of loyalty requires directors to act in good faith for the benefit of the corporation and its stockholders (and not for their own interest). Texas additionally has the duty of obedience, which requires a director to avoid committing ultra vires acts (acts beyond the scope of the powers of the corporation as defined by its certificate of formation and Texas law). Contact Us to find out more about fiduciary duties and other obligations your CEO and board of directors needs to abide by.